People everywhere, including residents right here in New Hampshire, are doing more and more things online these days. Some folks shop at online retailers for everything, and they get the goods delivered right to their door. Others utilize the web to access video game platforms and play titles with gamers from around the world. Meanwhile, traffic school is not one to be left behind, so the driver education industry has gotten in on the action as well. In New Hampshire, traffic schools are actually known as New Hampshire Driver Improvement courses. Anyone who has accrued more than 3 points on their driving record is eligible to take a New Hampshire driver improvement course. You can reduce the number of points on your New Hampshire driving record, but you can’t eliminate them entirely. You may also be required to take a New Hampshire Driver Attitude Program, which is sometimes ordered for certain offenses. WARNING: You are currently NOT ALLOWED to take any New Hampshire driver improvement program, driver attitude program, defensive driving course, or traffic school online. All courses must be taken in physical classroom locations. It may be possible to sign up for an online course, but this is not common in New Hampshire. You can obtain more information about New Hampshire driver improvement courses here. The remainder of this guide will be under the assumption you have been given special permission to take an online course. Who Needs New Hampshire Online Traffic Schools? There are various reasons as to why a person may need to complete a defensive driving course, which is also commonly called traffic school. For one, a motorist that receives a ticket for a minor violation such as speeding or running a red light might voluntarily take the class to get the citation dismissed. On other occasions, the courts may order the driver to attend traffic school to reduce the number of points on their record. Getting too many points can be disastrous as it can result in the individual’s license becoming suspended. Additionally, some people may choose to attend the course willingly to get a safe driver discount from their insurance company. Not all insurers have these programs though, so if saving money on auto coverage is your intention, be sure to check with your provider before signing up with one of these New Hampshire online traffic schools. If you fail to do so, instead of cashing in, learning to be a safer driver is the only thing you will gain from the event. Is The Institution Is Accepted Where You Live? There are a lot of traffic schools on the Internet that claims to do this or that. While the one that interests you may sound delightful, if it is not an approved defensive driving provider in your hometown, it won’t do you any good. The student will complete a lot of work and have nothing to show for it as it will not count towards their requirement. They will have to sign up with an accepted establishment and redo everything a second time. Remember, you must receive special permission to take a New Hampshire traffic school online. All driver improvement courses in New Hampshire must bre completed in a physical classroom. If you have received special permission to take your New Hampshire defensive driving course online, or if your auto insurance company said you could take a course for a discount, these are the absolute best programs you can take. iDriveSafely should at least be in the running as your chosen school. It has been around for years, offers a variety of classes, and has helped more than 5 million drivers. The prices are fair whether a person picks a curriculum that is text or video-based. It is notable to mention that the second option costs a bit more though. Students can access the lessons from any device 24/7, which gives them the freedom to study whenever, wherever, and however they like. The audio clips, animated videos, and text lessons are straightforward enough, but if the pupil has a question, they can reach the customer support team 7-days a week to get the answer. All of these benefits combine to make iDriveSafely one of the best New Hampshire online traffic schools. Check out our full iDriveSafely review here. 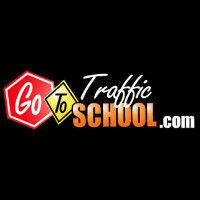 Another name worthy of being called one of the best New Hampshire online traffic schools is Go To Traffic School. It is a low-cost option that also features a price match policy. When a student finds a competitor with a cheaper rate, the organization will meet or beat the value. Since its inception in 1999, this company has over 4 million satisfied users. The coursework can be done from a device of the student’s choosing, and it all takes place online. A great thing about Go To Traffic School is that they recently just revamped their entire course. Go To Traffic School now features modern interactive videos, animations, and graphics that they didn’t have before. You can check out our full Go To Traffic School review here. While the primary goal of all the New Hampshire online traffic schools is to make the streets safer, Improv Traffic School goes above and beyond to improve the student experience. The text lessons and videos are hilarious thanks to the Improv Comedy Club comedians behind the operation. This organization’s website shows that in the last month alone it assisted 20,958 people with tickets. Of course, that is nothing compared to the 3 million folks that have made it their school of choice. The prices are reasonable, and the company even has a 100% money back guarantee. If a pupil has a question, the support staff is based in the United States and available 24 hours a day and 7-days a week for assistance. Improv Traffic School is a good option for those that want to bring a little humor into their lives during a time that is usually very boring. If you want to learn more about Improv Traffic School you can get a full review of the course here. A lot of students prefer the approach that Aceable brings to the table, which is why it is deserving of the title one of the best New Hampshire online traffic schools. All of the work is done via the company’s app on a smartphone or tablet. The prices of both the driver’s ed and defensive driving courses are affordable. This element is significant because most people don’t want to be doing the task in the first place, much less spending an arm and a leg for it. Many folks enjoy the format more than those of other New Hampshire online traffic schools. Aceable is a newer institution on the scene, but it is quickly becoming a leader in the industry. It has seen 400,000 graduates pass its courses since starting up. There are plenty of 5-star reviews to look over on the organization’s website if you want some other opinions. The customer support team is also top-notch. These trained professionals are available 7-days a week to resolve issues by chat, email, or phone.